Use 1 capsule a day and wash down with water. It is recommended to take the supplement before sleep to increase its quality. In order to increase the effect of the preparation the supplementation should be joined with nitric oxide. 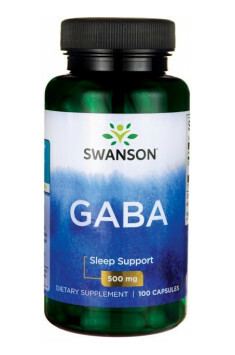 GABA supplementation is especially recommended in case of the feeling of fatigue, reduced concentration and in stressful conditions. Moreover, the dose of 3000-5000 mg may be used, among others, to increase growth hormone metabolism.